Exam number 1: Choose the most suitable answer in 4 available answers. 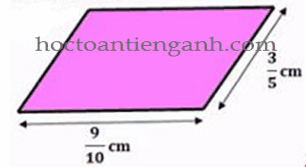 The area of the parallelogram below is ………… cm2. The sum of two numbers is 79 and their difference is 13. What is the smaller number? 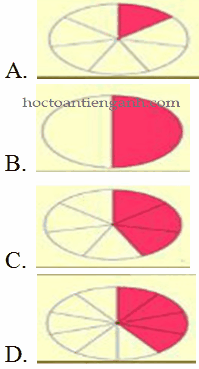 Which image matchs the following fraction? The perimeter of the square below is ………….. cm. How many numbers between 65 and 121 are divisible by 8? of the trees in a garden is red apple trees. Others are green apple trees. There are 60 green apple trees. How many apple trees are there in the garden altogether? Let’s reach the intellectual peak by answering the questions. In 235468, the value of the digit in the hundreds place is: ……………. The ratio of two numbers is 3 : 5 and their sum is 104. 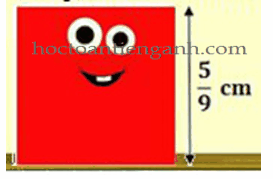 The area of a square of side 5cm is ……….. cm2. The greatest 5 – digit number that divisible by 18 is …………. Of the 28 goats on Jack’s farm, are white. How many white goats are on the farm? There are ……………. white goats. The missing number is ……………. There are forty pieces of fruits on the table. Twenty four of them are oranges, others are apples. How many pieces of fruits are apples? Answer: There are ……….. pieces. The missing number is ………….. The perimeter of the parallelogram below is ………… cm. There are 35 men and a some of women in a meeting room. The ratio of the number of women to the number of men is 7 : 5. How many women are there in the meeting room? The sum of odd numbers from 12 to 42 is ………..
For every 8 hours of work, John earns $136. If John works 30 hours, how much will he earn? The sum of two numbers is the smallest 3-digit number and their difference is the smallest 2-digit number?